In a written reply at the Dewan Rakyat today, the ministry said the special team would involve and take into consideration religious, social and community aspects as Malaysia was a multiracial and multireligious country. “The ministry hopes that with the ‘Special Project Team’ which comprises representatives from ministries, government departments and agencies, non-governmental organisations and individuals with the experience, knowledge and skills on gender equality, will study, formulate and prepare the outline of the law on gender equality in Malaysia,” it said in the reply. Dated April 8, the reply was in response to a question from Nancy Shukri (GPS-Batang Sadong) who wanted to know the outcome of the engagement sessions on the Gender Equality Bill. According to the ministry, several engagement sessions were held with the relevant parties like the Attorney-General’s Chambers, the Department of Syariah Judiciary (JKSM), the Department of Islamic Development (Jakim) and NGOs to ensure that the act included the views of all interested parties. “Arising from the engagement sessions, an outline of the law on gender equality must be formed with consideration given to the Convention on the Elimination of All Forms of Discrimination Against Women (Cedaw). 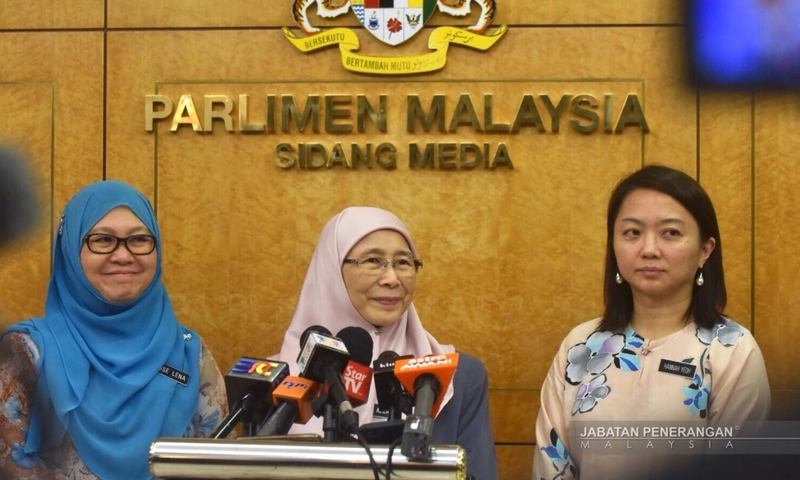 “It will also take into consideration existing laws in Malaysia such as Article 3(1) of the Federal Constitution and look at the examples of laws on gender equality in other countries like the Philippines, India and Vietnam,” the statement said.